Here’s a worthy quote from J. C. Ryle (1816-1900). I think it fits well with the hymn we will look at today. I’d like to share a hymn that has long been a favorite of mine; “Oh I Want to See Him.” It was written in 1916 by Rufus H. Cornelius (1872-1933). Can you see the difference in the songs written yesterday and much of what is rendered today? 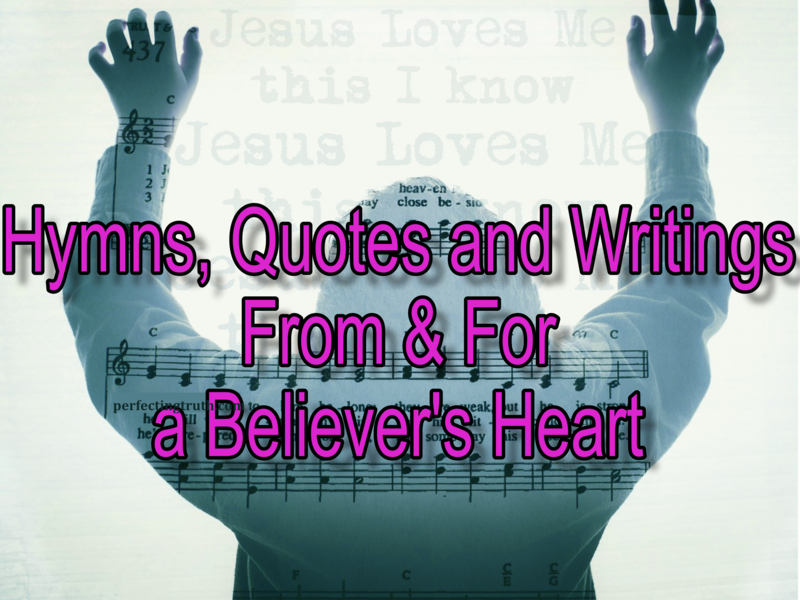 Do you recognize the difference in the heart and focus of the believers who came before? To me, the difference speaks volumes! What do you think? Dear Juanita, you make a really important point here. Your quote is powerful. Wow. And the song you selected reflects it so well. Are we excited to worship Him now? Are we looking forward to eternity with Him? If not, it’s time to reconnect with the Bread of Life! As believers, we must be looking forward to eternity with The One in whom we believe! That is a huge difference I see between the saints of old and those today; the desire to see Christ, live with Christ, and worship Him for eternity is not really there for many (most?). Today the church is overly consumed with this world; not looking to leave it and definitely not desiring to leave it. If we are not looking forward to that day then we must, as you said, “reconnect with the Bread of Life!” Thanks for taking time to read and share your thoughts on the post. God bless you!! I remeber the first time I heard Oh I want to see Him….I love that song cause it speaks of my greatest quest…To see my Jesus….the verses of the song are true to any Christian who is trying to make it in..This journey to Heaven is not an easy one…but songs like that keep me focus on why I live the way I do….Thanks for sharing…. Thanks for checking out the post and sharing your thoughts. I agree with you. Songs like this serve an important purpose for true believers. Sadly they are sorely missed in any churches today. We need to pull them out, listen to them and sing them. They are a treasure of strength and encouragement for us as we tread through this world on our way home! Yes, I have realized this as well. It is surprising because Praise and Worship of God is so different than it was when I was growing up. Today it seems we put God on “our agenda.” We have time to sing exactly 3, 3.5 minute songs, and that comprises the entire praise and worship portion of the service… 🙁 What I have noticed is that with putting God on our schedule, “fitting Him in” as it were, we do not see the move of God in the service as we once did. People have become spectators rather than participators in the worship of their God. That’s not good, and I pray that this changes. There are those of us who have time, are willing to sacrifice time if necessary, to rest in the presence God. There are those of us who want this and feel short changed by the ridigly scheduled, so called praise and worship time once a week. If we feel short changed, what about God?? Something to think about isn’t it!? Thanks so much or reading the post and sharing your thoughts. Great memories of us singing that hymn at the Gospel Lighthouse when I was a kid. I hope it gets stuck in my head all week!! Yes, I remember singing this as a kid as well. I love it!! I pray it gets “stuck in [your] head” all week and beyond! Thanks for checking out the post and sharing your thoughts.